In order to celebrate the year when the city will become the European Youth Capital, Novi Sad gathers artists from Poland, USA, Russia, China, Slovenia, Montenegro, Bosnia and Herzegovina, connecting not only different meridians, but different genres and locations. 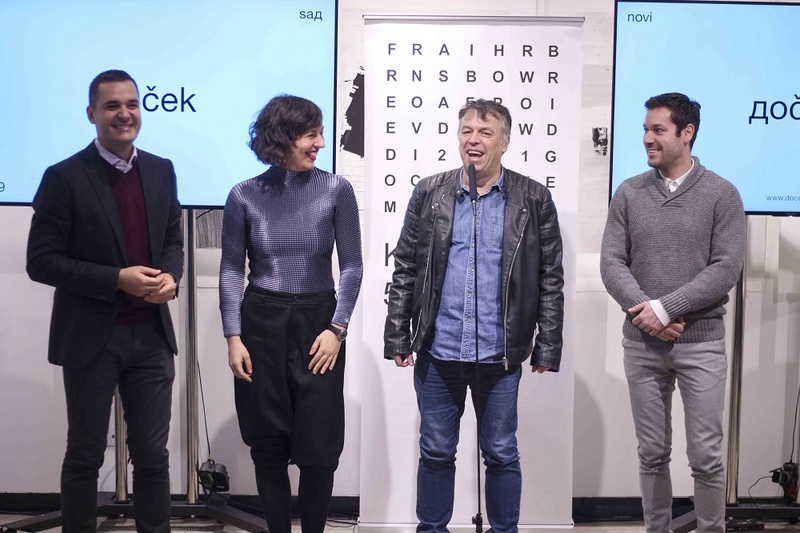 Through the concept of interculturality, connecting the elements of elite and popular culture, Novi Sad connects its young artists with foreign artists, developing local scene, which is the part of the preparation for 2021 when the city of Novi Sad will become European Capital of Culture. After famous ‘Balkan charlatan’ Magnifico who marked the Serbian cinematography with his music, Dr Nele Karajlić will celebrate the New Year’s Eve in an originally ‘surreal’ way with the citizens of Novi Sad in the Liberty Square. The Camerata Academica chamber orchestra, Ms Jelena Končar, Diva of the Serbian National Theatre and choir of the ‘Sonja Marinković’ Academic cultural-artistic association will join his performance. ‘Again in Novi Sad after so many years, with good old songs audience and I grew up listening to. I will perform in Novi Sad, the city that becomes closer and closer to what it should become in 2021 – European Capital of Culture! Cooperation with string players makes it even more exciting. We ran through the repertoire and I think that we are at the beginning of one new friendship’, said Dr Nele Karajlić with the excitement at the press-conference held in order to present the overall programme of the first New Year’s celebration on 31 December within the concept of Дoček. Mr Marko Miletić, violoncellist of the Camerata Academica chamber orchestra, agrees that he immediately felt the good energy between Dr Nele Karajlić and chamber orchestra. 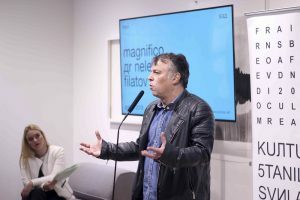 ‘I would like to thank the ‘Novi Sad 2021’ Foundation because it connects extraordinary artists and ideas and in this manner, erases borders between genres. It is a pleasure to perform with Dr Nele Karajlić, visionary, actor, director and musician, the man whose music inspired generations. We selected very charismatic team that is familiar with all genres. I think we will make one mix, which will show that punk can be of high quality when combined with classical music. There is no better combination to start 2019 and the party will be epic’, Mr Miletić added. After the midnight, DJ duo Filatov & Karas, who take over the world with their platinum hits, will maintain the great atmosphere. Within the concept of Дoček, the stage at the Liberty Square, where great artists will perform, will be unique and different. Visual moment will feature representatives of the Faculty of Technical Sciences, Academy of Arts and OPENS. ‘Similar to previous year, the ambition of the concept of Дoček is to comprise the concerts of announced performers in a unique audio-visual experience with different stage equipment. Besides this, our solution will be inspired by the fact that Novi Sad will become European Youth Capital in 2019. Being the member of the team of directors, my task will be to show that it is possible to make this event a striking audio-visual work seen through contemporary values and aesthetics’, said Ms Milica Stojšić, architect and lightning designer, assistant from the department of art and design of the Department of Architecture and Urban Planning of the Faculty of Technical Sciences in Novi Sad. Besides Liberty Square, the programme will take place at four new locations. The audience will enjoy the performance of the ‘IrieFM’ band, one of the most popular bands in Serbia, and winners of the TAKT festival, acoustic competition for composers, will present themselves as well. The TAKT festival will be organised by the ‘Kulturanova’ on 25 and 26 December. Fans of jazz music will have a chance to listen to Piotr Damasiewicz, jazz artist who comes to our city within the ‘Plants AiR’ residential programme of the ‘Novi Sad 2021’ Foundation. His performance will be symbolically held in front of the newly opened Svilara Cultural Station. The youngest citizens of Novi Sad will be the part of the concept of Дoček 2019 as well. 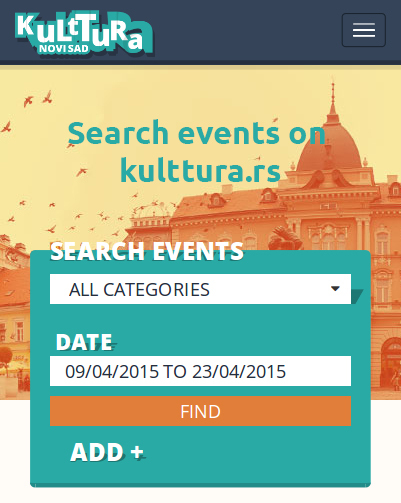 Programme for children will be organised in the first cultural station, Egység. They will have a chance to see the ‘Bach Rides a Camel’, children musical of the international troupe, implemented by the ‘Novi Sad 2021’ Foundation in cooperation with GIPAC Academy from the USA, with the aim to professionally train young artists across the world. Traditionally, the fairy Danube Park will be the place where youngest citizens will celebrate 2019. At the same time, this is the announcement of the beginning of the year of the young within the ‘Novi Sad 2021 – European Youth Capital’ project. Our city will become the European Youth Capital in just two weeks. For the past year Novi Sad has presented its cultural, social and economic life through diverse programmes and offered rich programmes for young people, making the Serbian Athens, at the beginning of 2019, part of the big European family. The year 7526 will be celebrated at more than 40 locations, in closed space, on 13 January. The two celebrations are the future gala opening and closing of 2021, when Novi Sad will become European Capital of Culture.